The eleventh- and twelfth-century attacks by European Christian armies on Muslims in the so-called Holy Land in what is now Israel and Palestine has long fascinated people worldwide. Through a narrative-driven pro/con formatsupported by relevant facts, quotes, and anecdotesthis book examines controversial issues stemming from historic events. Topics include: Was Retaking the Holy Land the Purpose of the First Crusade? Did the Crusaders Commit Atrocities? 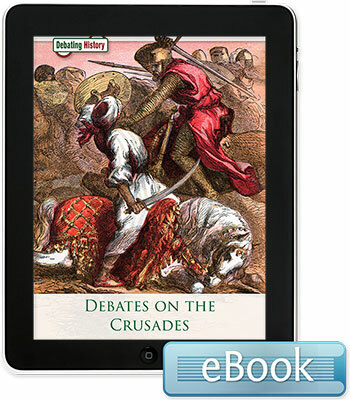 Were the Crusades More Brutal than Other Medieval Wars? Is Seeking Revenge for the Crusades an Inspiration for Modern Islamists?